A draw for the Courage and a tough loss for the Pride leave both teams looking at Wednesday night's match as a chance to rebound from their opening day results. The North Carolina Courage host the Orlando Pride during the week for the second game of the season for both teams. 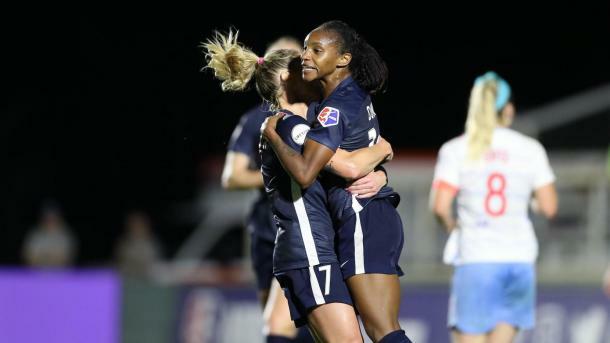 The Courage are coming into this match after a home draw with the Chicago Red Stars and while the Pride suffered a 2-0 defeat at home to Portland Thorns FC. Both teams will be looking to have better performances tomorrow night as they search for their first wins of the season. During their match against the Red Stars, the Courage created many opportunities to give themselves a win last weekend. The goal that the Red Stars scored came against the run of play and after the Courage had been knocking on the door for most of the first half. Against Orlando, the Courage have to find their clinical edge inside the penalty area once again. The pre-season rust may still be lingering but with the 2019 FIFA Women's World Cup looming, no team can afford to drop unnecessary points. As always, the Courage will look to their attacking players to push them forward. Crystal Dunn got the equalizer last time out but both Lynn Williams and Jessica McDonald could have and should have put their names on the scoresheet as well. They will have a great opportunity to do so against an Orlando team that still has not found its identity under a new head coach and continues to have a porous backline. Marc Skinner is in as the new head coach for the Orlando Pride but it seems as though last season's issues remain despite the coaching change. Against the Thorns, the Pride attack was listless, the midfield was non-existent and the defense were extremely unimpressive. On top of that, most of the Orlando players seemed to have no real motivation to act as a unit or to gain a result in front of their home fans. Captain Ashlyn Harris criticized the team's lack of effort in her post-game interview but effort is not the only issue the Pride have. 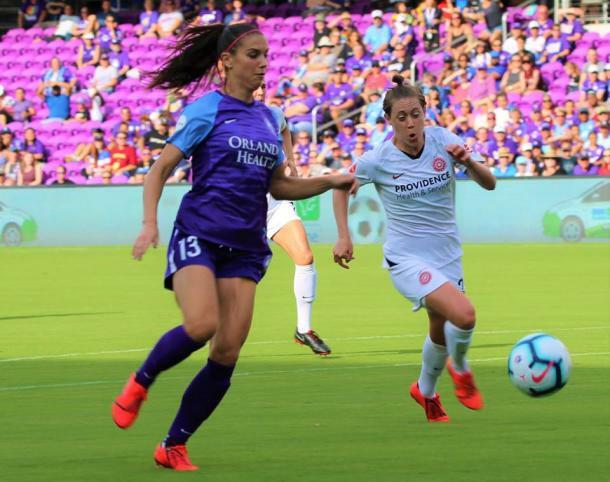 If Orlando want to have even a faint hope of getting something from this game, they must get Alex Morgan involved more, especially in and around the opposition's penalty area. Morgan had five shot against the Thorns and could only get one of those on target. She was one of the more dangerous Pride players on the day but did not receive the ball often enough to really make a difference. That has to change against North Carolina or the Pride may be in a for a long evening. The match will be played on Wednesday, April 17th at Sahlen’s Stadium at WakeMed Soccer Park in Cary, North Carolina. Kick-off is set for 7:00PM EST and the game will be available to watch Yahoo! Sports, NWSLsoccer.com and the NWSL app.